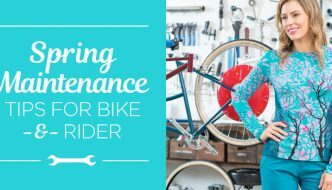 WHAT'S NEW IN BIKE HELMETS FOR WOMEN? - Terry Peloton. 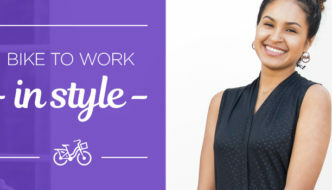 You are here: Home / Sidesaddle Blog / WHAT’S NEW IN BIKE HELMETS FOR WOMEN? New options in bike helmets for women offer improved impact protection, and some may even appeal to people who don’t usually wear a bike helmet at all. We’re fond of our brains, so here at Terry we are firmly in the “always wear a helmet when you ride” camp. However, we get that some people resist wearing a helmet for reasons that are good to them, and there may be certain rides where going helmet-less is a reasonable choice – casual rides in bike lanes for example. They are certainly not immune from risk, but statistics may support being more relaxed about helmet use when rides are completely separated from vehicle traffic. On the other hand, another study indicates that 97% of the cyclists killed in fatal accidents were not wearing helmets. Good idea or not, a lot of people riding bike lanes to commute or using bike share programs go without helmets. Three of the biggest objections seem to be the “mushroom head” look, the problem of “helmet head” for people on the way to the office, and the challenges of lugging an inconvenient object around when not on the bike – shopping or dining, for example. Thanks to technology, there may soon be some good options for people who resist wearing a helmet for those reasons. Riders who don’t want to mess their hair or compromise their personal aesthetics are choosing a novel approach from Swedish company Hövding. It’s based on airbag technology. Riders wear what looks like a bulky collar instead of a bike helmet. The device senses changes in motion and is programmed with data from thousands of bike crash scenarios, so if sudden changes in speed and orientation occur the airbag deploys, covering the head completely before impact. It seems to offer very good protection for certain kinds of crashes, particularly where a cyclist falls or is hit, and then strikes their head on the road or vehicle. Other possibilities not so much, for example when a cyclist hits a truck mirror, or other situation where impact to the head is immediate. It has not passed the tests required for sale in the U.S., so it probably won’t be available here any time soon. The technology is also relatively expensive, although prices have fallen as the product has caught on in other places around the world. 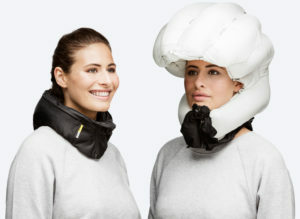 Check out some of their viral videos – one reason their airbag bike helmets have become so popular. Another new concept is more of a rethink of the regular molded foam bike helmet. It’s by Park & Diamond, a company with a compelling story and mission. They have introduced innovations that they hope will persuade non-helmet wearers to get protected after all – mostly advances in materials that provide three times better impact absorption with a lot less bulk. It looks more like a bumpy baseball cap, with a much lower profile than a regular bike helmet. The Park & Diamond is also foldable, stowing in a case about the size of a bike bottle. A beanie version and a wider color palette are on the way. Now’s your chance to get in on the new introduction. 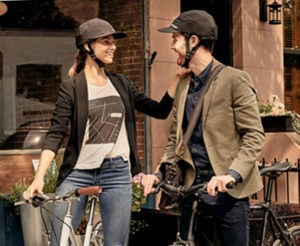 The Park & Diamond baseball cap bike helmet was launched on crowdfunding site indiegogo.com, and there are still deals to be had for early adopters. 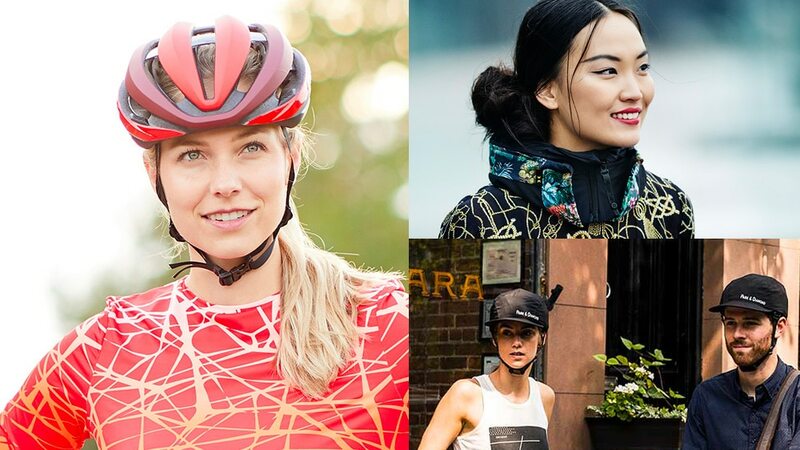 For cyclists happy with a more traditional approach to head protection, we have a great line up of bike helmets for women for 2019, chosen for performance, comfort and style. This season the story is all about MIPS, which has become the new standard for achieving better protection from impacts with rotational forces. A standout choice is the Aether MIPS from Giro, which adds a string of innovations for superior impact protection, along with great ventilation and striking good looks. It has attractive comfort features and is pony-tail friendly too. We are also featuring the top-of-the-line Trace MIPS by Smith, with excellent impact protection and maximum ventilation. The Trace MIPS boasts several eyewear-friendly features, including a system to prevent your eyewear from fogging up. 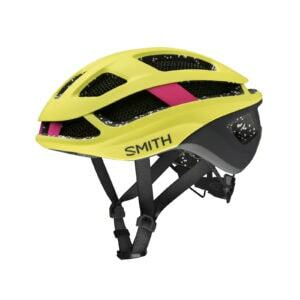 Bicycling Magazine dubbed the Trace MIPS to be Smith’s best bike helmet yet. 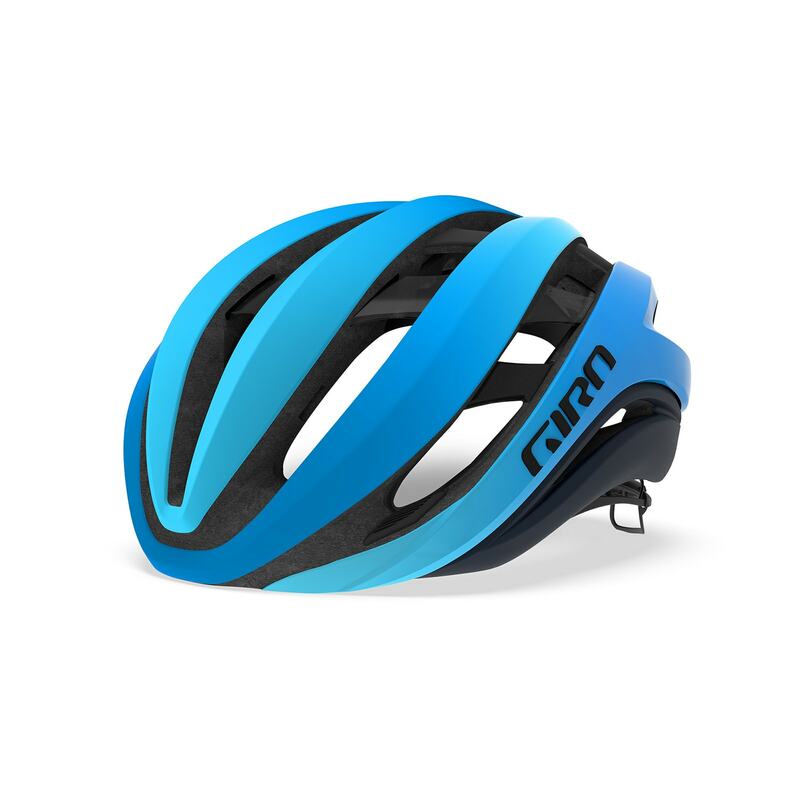 Browse all our bike helmet options here. 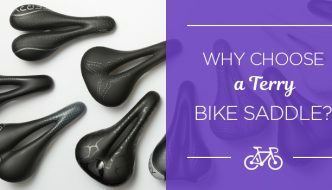 Wondering if it’s time to replace your bike helmet? See if any of these replacement requirements apply to you. I love Terry, and have a wonderful Smith helmet for longer rides. But for commuting, I have a collapsible helmet, which I can fold down and put into a backpack or messenger bag. I would not ride thru a parking lot without a helmet!! Terry – think about offering a collapsing helmet in your catalog?? Thanks for your comment, Angela. I’m glad to hear you’re well protected on all your rides. What collapsible helmet do you prefer? We can certainly take a look at the options and see if a similar model will work for the Terry catalog.